← ‘The Wolf’ due out soon! 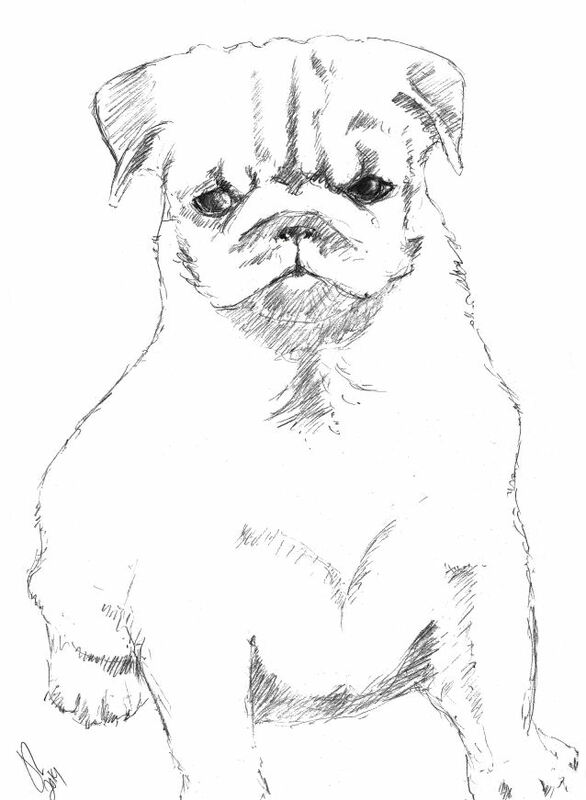 One of the rewards offered in Pulp Literature‘s recent Kickstarter campaign was pet sketches. These were challenging but fun. The challenge with the pug puppy was how contrasty he is. He’s a creamy white with very dark markings around his face, and I wanted to capture his expressive eyes without losing them in the surrounding dark fur, and delineate enough of his white body without darkening it with too much detail. The cat was the opposite problem. He’s all black, with no markings. As someone with two black horses I know how hard it is to get good photos of black animals. His owner sent me several shots which I was able to manipulate in Paintshop to get some good detail. 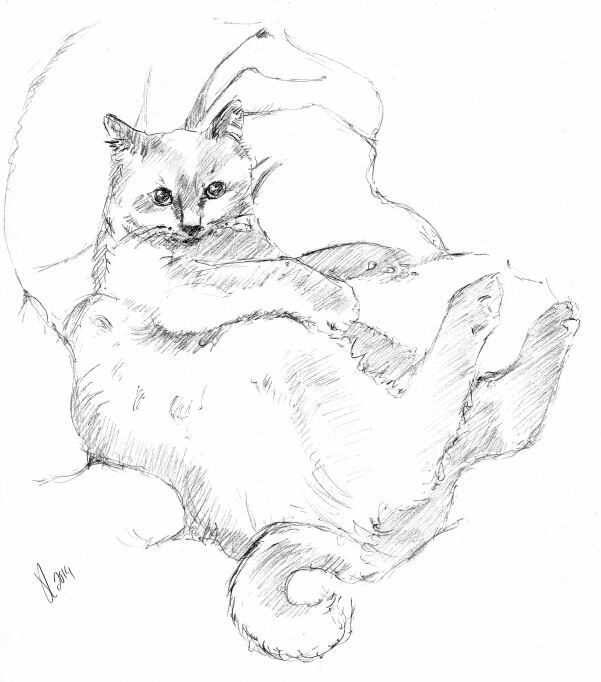 I chose not to shade him in thoroughly, which would have been overbearing in a pencil sketch. Instead I tried to capture his imperious and slightly mischievous expression, and left his colouring up to the imagination of the viewer. Did it work? You tell me. This entry was posted in Artwork, Pulp Literature and tagged Pulp Literature. Bookmark the permalink.